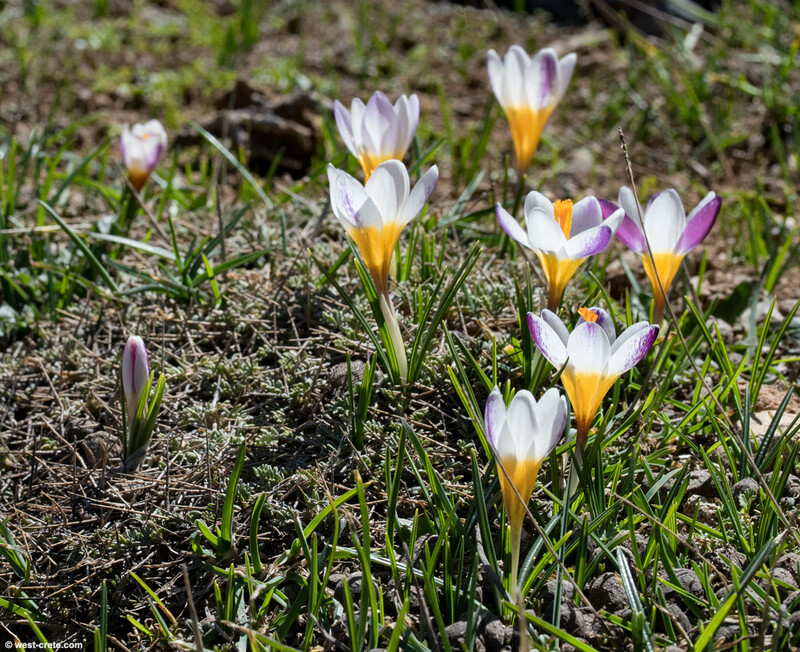 The last snow is melting fast so the time for one of Crete's most beautiful flower, Crocus sieberi, will soon be over. These were photographed at an altitude of around 1750m. Higher up they should last a little bit longer but not much beyond the middle of April.